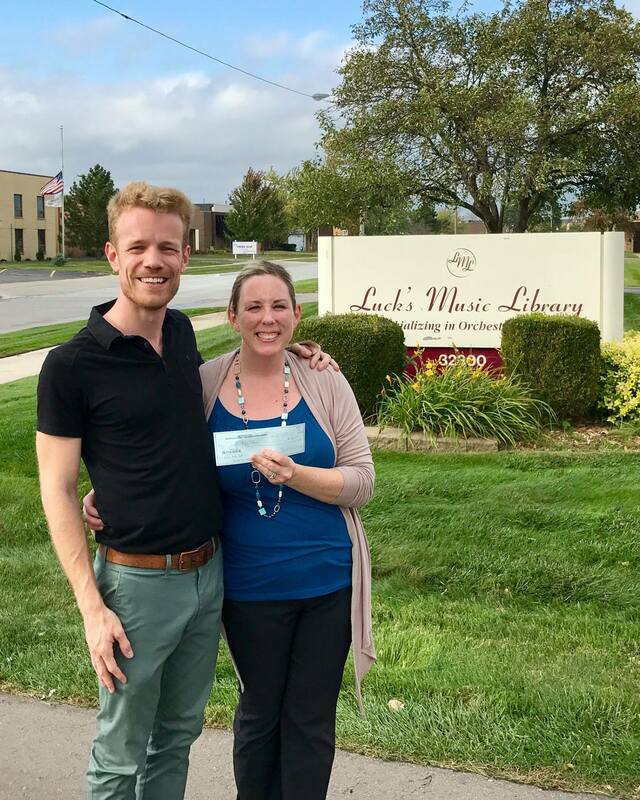 The Michigan American String Teachers Association joined with Luck’s Music Library this past week to support orchestra programs affected by Hurricane Harvey. The Hurricane Harvey School Orchestra Music Fund was created by Luck’s Music Library to help replace the music libraries of public schools in Houston, several of which were entirely lost to the storm’s flooding. In addition to organizing the distribution of music, Luck’s will be matching every dollar donated to this cause. The MASTA Board offered their support in the amount of $2000 this past week, which we were able to present in person to the organizer of the campaign, Amy King, at Luck’s Music Library in Madison Heights. The board felt a strong need to support this effort, particularly given that Luck’s is a homegrown Michigan business. Our support has been shared with other ASTA Chapters around the country, and has already inspired the Illinois Chapter to make a contribution as well! Tempo Press is also donating an additional $1000 worth of music beyond the amount raised through this program. Public school orchestra programs around the country have also offered their support through coin drives and other fundraisers. We encourage all of our members to consider supporting this worthy cause, either individually or as a program. More information can be found on the Luck’s Music Library website and donations can be made through the YouCaring site that has been set up for the cause: https://www.youcaring.com/schoolorchestrasaffectedbyhurricaineharvey-941357. Let’s help our Houstonian colleagues and their students in this time of need! UP Chamber Music Festival – HUGE success!